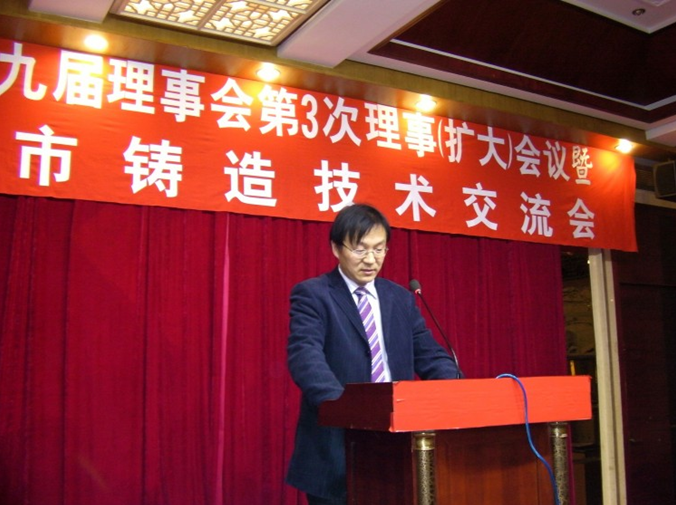 Lu Wenlong Secretary-General of the Friendship Hotel in Wuxi, Jiangsu Province Foundry Society held on January 12, 2013 the Ninth Council of Wuxi Foundry Society 3rd governing awarded 13 outstanding enterprises of the 50th anniversary of the Jiangsu Province Foundry Society Wuxi (enlarged) meeting award certificates and 25 advanced individuals. 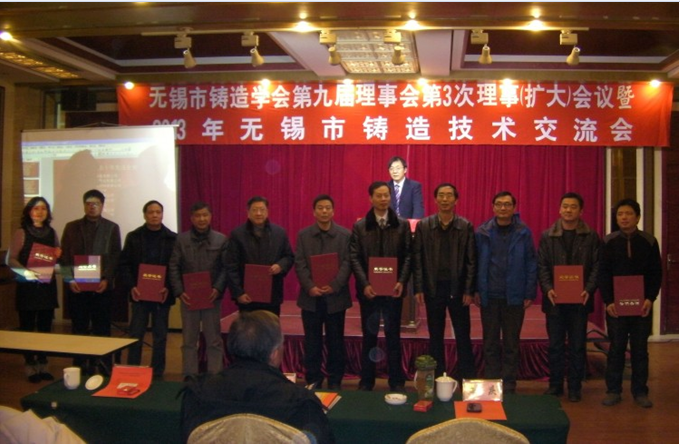 Ninth Council held on January 12, 2013 in Wuxi Friendship Hotel Wuxi Foundry Society 3rd governing (enlarged) meeting, Jiangsu Province Casting Society of Lu Wenlong read out by the Secretary-General "outstanding enterprises and residents on the recognition of the 50th anniversary of the Jiangsu casting school and advanced personal decision "by Tang Li, vice chairman and vice chairman Gong Qing Foundry Society 50th anniversary of Jiangsu Province, Wuxi area 13 outstanding enterprises and 25 advanced individuals presented the award certificates. Wuxi FAW Foundry Co., Ltd.
Wuxi Yongxin Special Alloy Materials Co., Ltd.
Jiang Yin Jixin Wind Energy Technology Co., Ltd.
Wuxi Impro Precision Casting Co., Ltd. The Wuxi WANDI Precision Machinery Co., Ltd.
Wuxi Xizhang Environmental Protection Equipment Co., Ltd.
Eagle the ordinary machinery (Yixing) Co., Ltd.
Wuxi pass Casting Material Co., Ltd.
Jiangsu FAW Foundry Co., Ltd.
Wuxi HUANYU Precision Casting Co., Ltd.